While NASA explores the power of 3D printing in the development of the next generation space exploration vehicle, a CubeSat Trailblazer was launched in November 2013 that integrated 3D-printed structures with embedded electronics. Space provides a harsh environment necessary to demonstrate the durability of 3D-printed devices with radiation, extreme thermal cycling, and low pressure—all assaulting the structure at the atomic to macroscales. Consequently, devices that are operational in orbit can be relied upon in many terrestrial environments—including many defense and biomedical applications. The 3D-printed CubeSat module (a subsystem occupying approximately 10 % of the total volume offered by the 10 × 10 × 10-cm CubeSat enclosure) has a substrate that fits specifically into the available volume—exploiting 3D printing to provide volumetric efficiency. Based on the best fabrication technology at the time for 3D-printed electronics, stereolithography (SL), a vat photopolymerization technology, was used to fabricate the dielectric structure, while conductive inks were dispensed in channels to provide the electrical interconnect between components. In spite of the structure passing qualification—including temperature cycling, shock and vibration, and outgas testing—the photocurable materials used in SL do not provide the level of durability required for long-term functionality. Moreover, the conductive inks with low-temperature curing capabilities as required by the SL substrate material are widely known to provide suboptimal performance in terms of conductivity. To address these challenges in future 3D-printed electronics, a next generation machine is under development and being referred to as the multi3D system, which denotes the use of multiple technologies to produce 3D, multi-material, multifunctional devices. Based on an extrusion process necessary to replace photocurable polymers with thermoplastics, a material extrusion system based on fused deposition modeling (FDM) technology has been developed that integrates other technologies to compensate for FDM’s deficiencies in surface finish, minimum dimensional feature size, and porosity. Additionally, to minimize the use of conductive inks, a novel thermal embedding technology submerges copper wires into the thermoplastic dielectric structures during FDM process interruptions—providing high performance, robust interconnect, and ground planes—and serendipitously improving the mechanical properties of the structure. 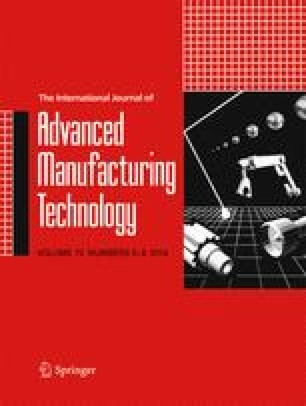 This paper compares and contrasts stereolithography used for 3D-printed electronics with the FDM-based system through experimental results and demonstrates an automated FDM-based process for producing features not achievable with FDM alone. In addition to the possibility of using direct write for electronic circuitry, the novel fabrication uses thermoplastics and copper wires that offer a substantial improvement in terms of performance and durability of 3D-printed electronics.